Brand loyalty is not as big as it used to be, hence this guide on the Nikon D850 vs Canon 5D Mark IV. There are plenty of reasons to put these two pedigree DSLRs head to head, so which is better? The answer to that question lies in you and your style of photography. We all have different needs and expectations, right? It’s why there can never be one camera to please all photographers. Both of these capable light-tight bodies are next generation full-frame Digital-SLRs. They share a plethora of common strengths, but each model also has its unique selling points. This no-nonsense guide breaks down the similarities and differences in plain English. Below is the format I used to pit these two giants against each other. 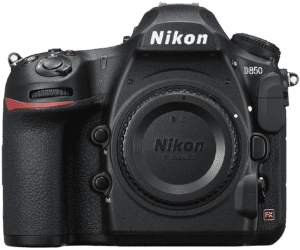 Why the Nikon D850 over the Canon 5D Mark IV? 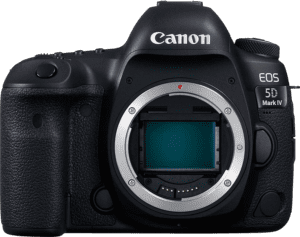 Why the Canon 5D Mark IV over the Nikon D850? Nikon’s D850 and the Canon 5D Mark IV share plenty of pro-grade features. Let’s start with connectivity. Both cameras have WiFi connection and smartphone remote control via NFC (see below). NFC stands for Near Field Communication. It’s a convenient, contact-less way to pair with other devices that use the same technology. Those devices can then talk to each other and easily share data. These cameras have flash shoes to mount external flash units. External flash delivers much better light than the built-in variety. There are also flash sync ports—ideal for creative off-camera flash lighting. Each of these professional DSLRs has optical viewfinders. They also sport large 3.2” LCD screens. And the top-mounted LCD panels provide convenient viewing and quick access to settings. The useful LCD touchscreens offer smooth access to the cameras main functions. Not all models have this feature. It’s handy because most of us use touchscreen technology daily on other smart devices. Another welcome feature to the Nikon D850 and Canon 5D Mark IV is the extra card image storage slot. They also support UHS (ultra-high-speed) cards. These card types have incredible data transfer speeds. Portrait photographers welcome the Face Detection Focusing with these cameras. Sports and wildlife enthusiasts appreciate the fast 7fps (frames per second) continuous shooting speeds. The time-lapse recording provides creative shooting opportunities too. And the AE Bracketing is ideal for tricky light situations and HDR (High Dynamic Range) photography. Both the Canon 5D Mark IV and the Nikon D850 have AF Micro Adjustment (AFMA). It can prove invaluable in situations where the lens needs a little fine focus tuning. The RAW file support is a must-have option for enthusiasts who have high attention to image detail. And environmental sealing is another pleasing feature that still not available on many DSLRs. OK, to wrap up the shared highlights are a couple of features to please videographers. One is the microphone port for high-quality audio, and the other a headphone port for enhanced video control. Canon designed the EOS 5D Mark IV around its predecessor, the EOS 5D Mark III. Likewise, Nikon’s D850 shares some design characteristics with its predecessor, the D810. These semi-pro DSLRs look different but appearance alone doesn’t sway people. Ergonomics and handling are vital concerns as are heft and build quality. Hand size also plays a part. The build of each camera is exceptional and praised by those who own these models. Both companies use magnesium alloy and have added a reasonable level of weather protection. The size difference is evident when looking at the cameras from the front view. The D850 is roughly 3% larger. Canon’s 5D MIV is shorter by 8mm, thinner by 3mm, but wider by 5mm. Nikon’s D850 is also the heavier of the two by around 13%. To put that into specifics, the Canon 5D MIV is lighter by 125g or 4.1 ounces. That’s not a huge difference but it’s not irrelevant either. Nikon D850 Width: 5.7” Height: 4.9” Depth: 3.1” Weight: 35.5 oz. Canon 5D MIV Width: 5.9” Height: 4.6” Depth: 3.0” Weight: 31.4 oz. Lens weight also plays a significant part in the overall heft of any DSLR. The optics for each camera are similar in weight and dimensions for their respective full frame sensors. Ergonomic designs, layout, and the feel of these cameras also differ. It’s not a simple case of one being better than the other, though. The way a camera feels and functions is partly subjective. There are notable variances when viewing these cameras from the rear. The eyecups look and feel different. And the Nikon D850’s articulating screen has two hinges located at the top. The rear buttons and dials surround the left and right side of the LCD screens on both cameras. Users coming from the predecessors soon get comfortable with the layout of the physical controls. There is a slight learning curve, though, for both cameras if you’re new to either brand. The good news is that both models have intuitive designs based on years of expertise and upgrades. There are more reasons to consider the Nikon D850 over the Canon 5D Mark IV. That doesn’t mean it’s a better choice for YOU. That all depends on whether these benefits are to your advantage. The differences between these two pro-grade DSLRs are worth noting. The flexible shooting angles provided by the D850’s articulating screen is sure to grab the attention of some. Nikon’s LCD has a higher resolution screen by 45%. And its sensor resolution has 53% more pixels at 46MP to Canon’s 30MP. The D850 also beats the Canon with its higher color depth and dynamic range. Battery life is sure to be a deciding factor for some, and there’s a huge difference here. The Nikon D850 boasts 1840 shots on a full charge to 900 shots of the 5D Mark IV. That’s 940 extra frames. Another nice touch to the D850 is its illuminated buttons. That may seem like a minor detail, but buttons that glow in the dark can be incredibly useful. Bluetooth is another feature the D850 has that the 5D Mark IV doesn’t. This camera also has better focus capabilities. Focus Bracketing or Stacking lets you take several photos at various focal points. Focus bracketing is especially helpful in situations where there’s a limited depth of field (DOF). There’s also better low-light autofocus (AF). And Nikon’s minimum focus sensitivity is EV -4 to Canon’s EV -3. The D850 has 92 more focus points than the Canon 5D MIV, and 58 additional cross-type focus points. The numbers are 153 vs. 61, and 99 vs. 41 respectively. Finally, there’s the D850’s 8K time-lapse mode. This lets you produce stunning time-lapse videos with minimal loss to image quality on zoom. The camera can shoot as many as 9,999 full-size stills. The D850 creates 8K time-lapse using its Interval Timer in Silent Live View Mode. The resulting 8K-sized tack-sharp images have flawless details thanks in part to zero shutter vibration. Nikon’s 8K time-lapse feature deserves a page of its own. 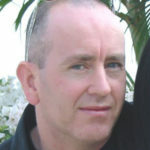 There are plenty of online videos to illustrate the potential if you want to explore it further. Yes, there are many advantages to the Nikon D850, but don’t make your mind up just yet. Every ounce matters when cameras become heavy. The Canon 5D Mark IV has a smaller footprint than the D850 in size and heft. Its body weighs just 890 g to the Canon’s 1015 g—a difference of 125 g.
Cost is another deciding factor for a lot of photographers. Prices can fluctuate, that much is true. But expect to pay around 200 dollars less for the Canon 5D MIV (at the time of writing this guide). Canon’s 5D Mark IV can produce higher resolution video than the Nikon D850. The numbers are 4096 x 2160 vs. Nikon’s 3840 x 2160. The 5D MIV also has better high ISO performance. The camera’s 4K photo mode lets users extract 8-megapixel photos from 4K video footage. The final advantage over the Nikon D850 is the 51% larger sensor pixel area with 28.69µm2 vs. 18.88µm2. Both cameras have more shared advantages than they do unique features. Still, even small differences can have a big influence on a photographer’s wants and expectations. These are professional level Digital-SLRs (certainly a hop, skip & a leap above most entry-level DSLRs), so their weaknesses are few and far between. The camera’s shared failings are even less, and there are only two that are worth mentioning. Neither of these models has built-in sensor-based image stabilization (IS). Those who want IS have to invest extra money in lenses that have optical stabilization (OS). Nikon D850 owners get to choose from 287 D850 compatible lenses for the Nikon F mount—88 of which have OS. Canon has a total of 256 quality 5D Mark IV compatible lenses for its EF lens mount—65 of which have OS. The only other common disadvantage with these cameras are the missing popup flashes. Most photographers at this level tend to avoid the harsh light of built-in flash anyway. Even so, there can be spontaneous moments when a ready-to-fire flash is invaluable. It can mean the difference of capturing a shot or not, so it’s a shame this feature’s missing. Reviewers comments say lots about the Nikon D850 and the Canon 5D Mark IV, most of it positive. There’s too much to report on individual likes and dislikes, so this section looks at shared views. Owners of the Nikon D850 are in love with its articulating touchscreen and the high resolution. The quiet shutter, tap-to-focus—and focusing system more generally—get a bit thumbs-up. Most reviewers praise the superb image quality even though it’s a given with a camera of this class. Image sharpness gets the most praise overall. People like the feel too, especially the D850’s grip. And there’s no hiding the delight of the D850’s long battery life. It’s not praise all the way, though. Common gripes include a dated menu system, no GPS, and no built-in flash. But overall, the pros far outweigh the cons for the Nikon. Reviewers praise Canon’s 5D MIV full-frame DSLR in equal measures for its high-quality images and features. ISO performance gets a lot of positive feedback, so does Live View, the build, and fast AF. Owners also value the Canon 5D Mark IV’s connectivity options, user-friendly layout, and excellent ergonomics. The weather sealing and full range of supporting accessories are other shared likes. People protest about the low average battery life of the Canon 5D MIV. The cropped 4K video is another protest, and so is the size of 4K video files. It’s not a popular camera for video in general. The countless user reviews and constructive comments across the web tell us plenty. The conclusion is that the Nikon D850 and the Canon 5D MK IV epitomize two exceptional models. There’s no such thing as the perfect camera for all photographers, and never will be. But each of these pro-DSLRs seems to offer near-perfect solutions for those who chose them. You’re not a diehard brand fan if you’ve read this review from top to bottom. Now, if you add the relative strengths up for both cameras, the Nikon D850 is the clear winner. Still, it’s not that simple. The relevance of camera strengths varies among photographers. There’s certainly more that unites these models than sets them apart. At least you have all the traits now, the best and the worst. So, is it the Nikon D850 or the Canon 5D Mark IV? You already know what your imaging needs are. Now all you need to do is see which of these beauties checks enough of your boxes.